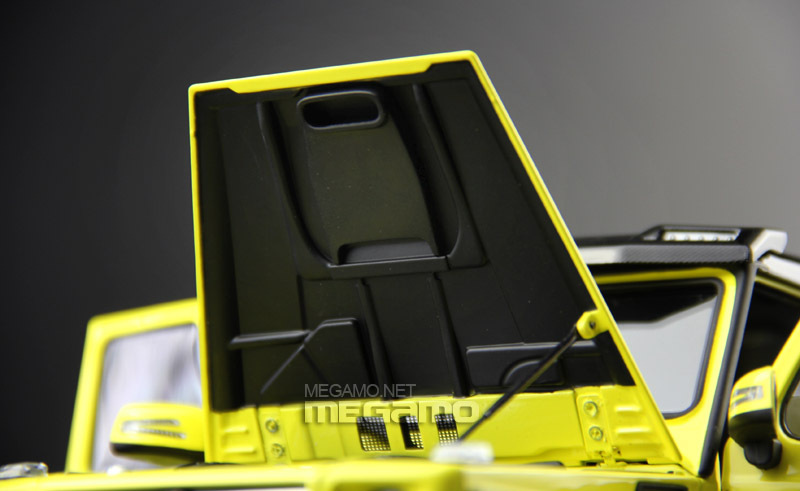 Almost Real is a diecast model car maker who stands up to its name in terms of details. They have released some exceptional models in the past, like the Land Rover Defender 110 Camel Trophy Edition which got us excited! 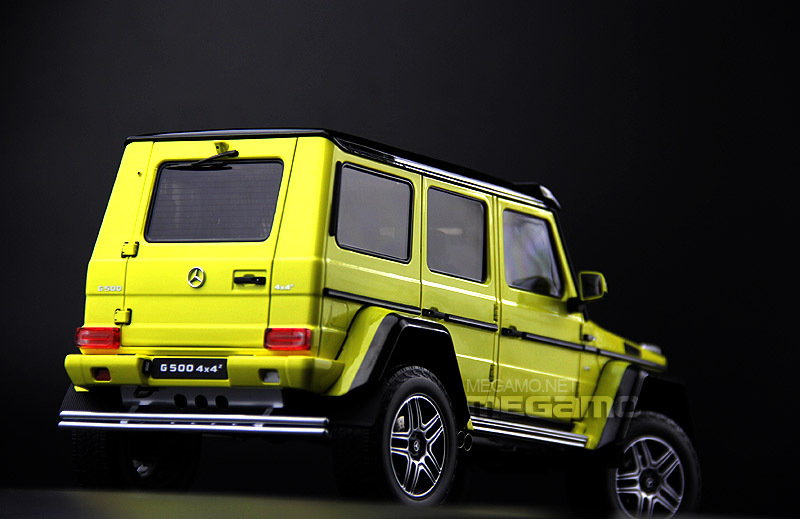 This time they are going up against the premium diecast model gaint like AUTOart by releasing Mercedes Benz G500 4×4 Squared in 1:18 scale. 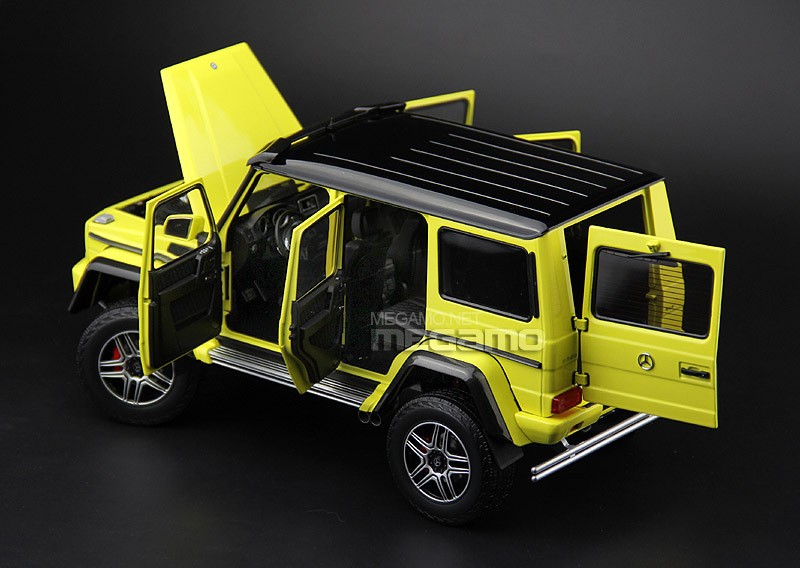 Yes GT Spirit also has this Mercedes Benz G500 4×4 Squared but that is a resin model with no opening doors etc. This bright yellow will find a lot of takers more than the white GT Spirit one. 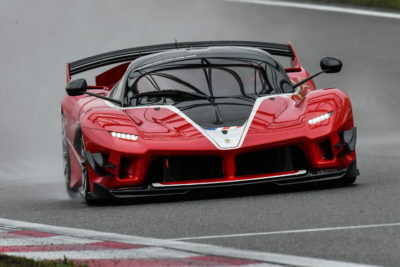 And Almost Real will find more taken because of its early bird nature as this is already available in the Market but AUTOart is still a long way. 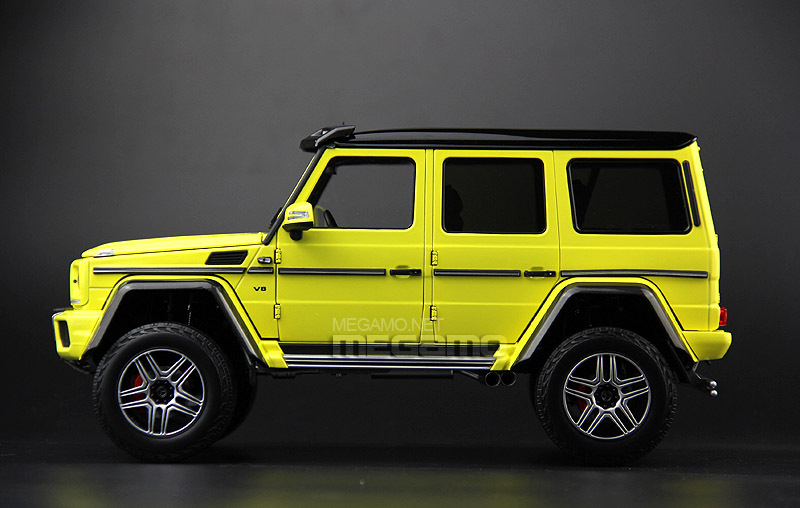 Collectors around the world who skipped the resin Mercedes Benz G500 4×4 Squared were expecting this for some time and finally it is here to enlighten them. 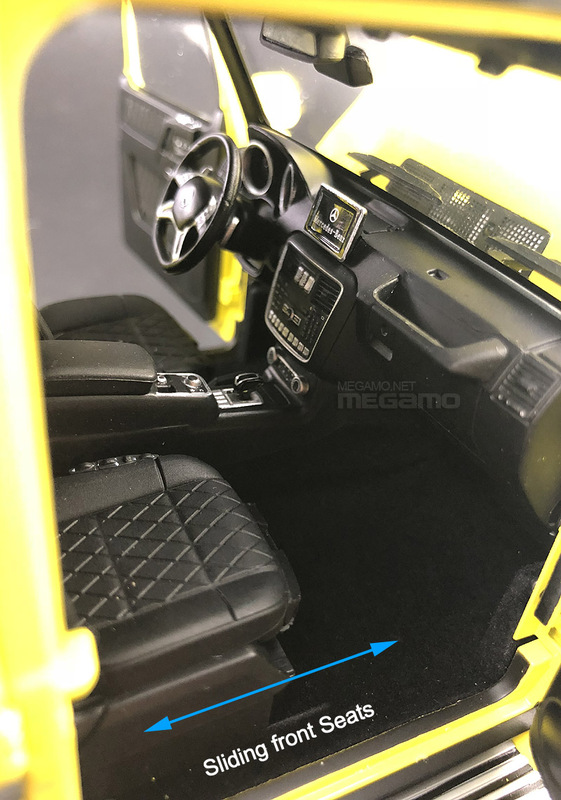 The details are exceptional, just its Land Rover counterpart and almost comparable to AUTOart Mercedes Benz G500 4×4 Squared which is in pipeline! I guess AUTOart will have seetru grill detail, which is missing in this Almost Real G500. And headlamp optics are sleek and really detailed, the underlaying LED DRL completes the picture in the front. The profile view give us the perception of how tall this Merc G500 is. 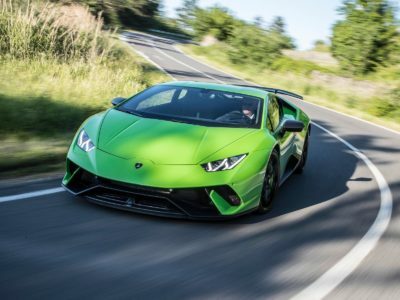 Checkout the ground clearance enhanced by the raised suspension and massive wheels. Just like the real G500 the rear windows are sort of tinted wiring it more character, which even GT Spirit missed. This Mercedes Benz G500 4×4 Squared comes with all opening doors, hood and tailgate. 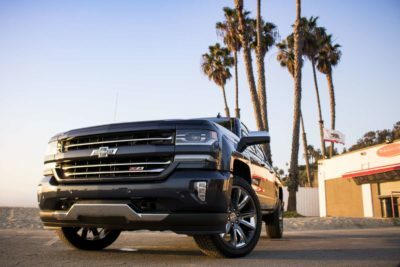 The doors all open wide enough and I especially like the rear tailgate’s hinge for its sleek design and functionality. The wide opening doors gives full access to the beautifully finished interior, which only falls short when pegged next to an AUTOart. 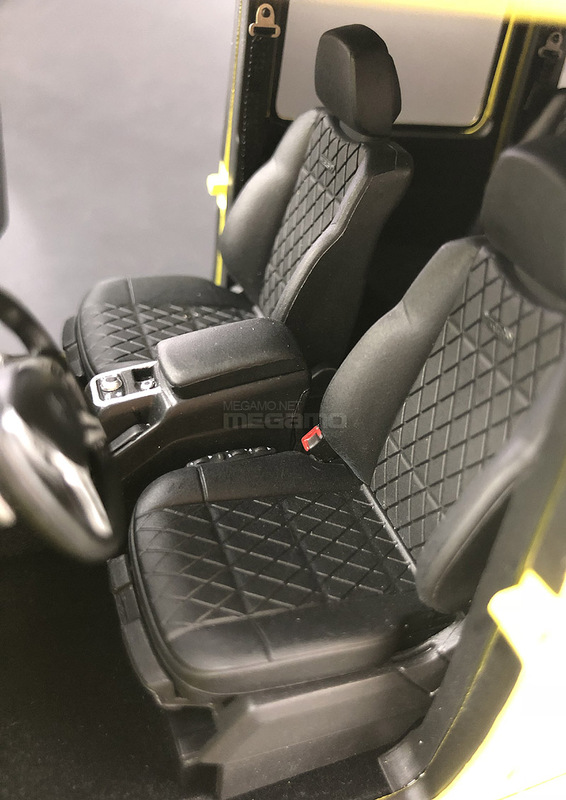 The seat fabric looks very details and they also comes with sliding option. All that I feel bad about this interior is that infotainment display which could have been better. 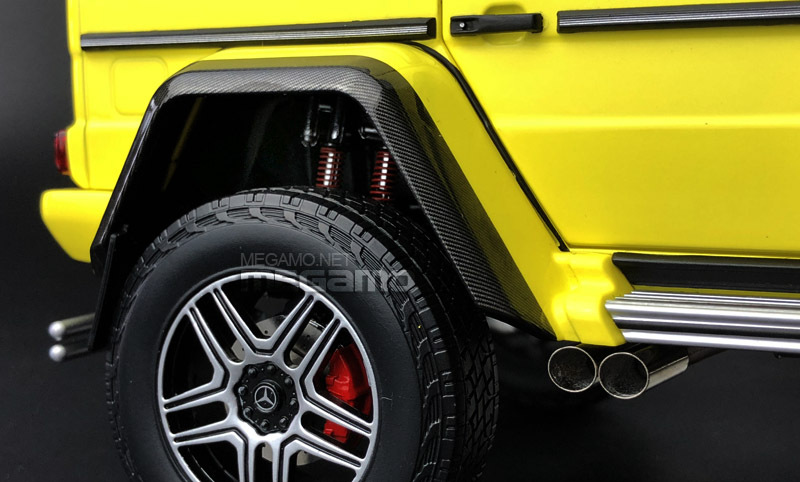 The closeup photo of this cool Mercedes Benz G500 4×4 Squared shows some more deep details like the carbon fiber wheelarcs, detailed underlining for the hood, seetru hood vents, hood stay etc. The wheel looks detailed along nuts and all, suspension springs finished red looks very real too. 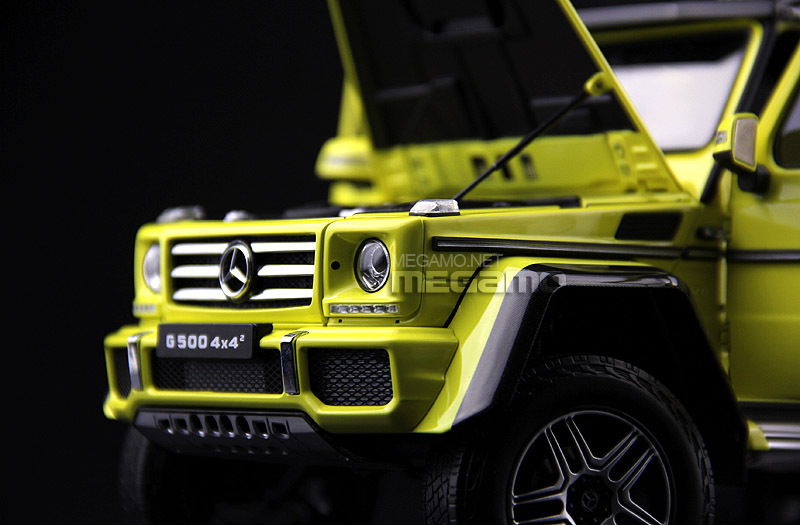 The engine details of this Mercedes Benz G500 4×4 Squared is nice, the piping is done well. 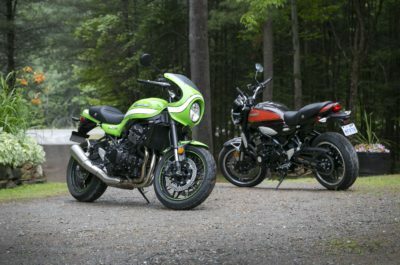 The fluid reservoirs are also nice finished in different shade making it life like. 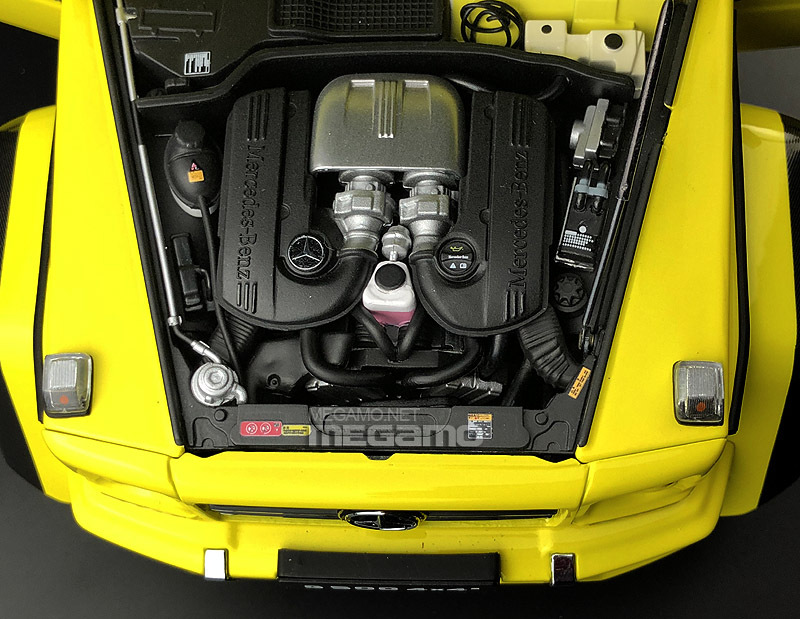 The Mercedes Benz badging in the engine cover is really detailed and sharp. 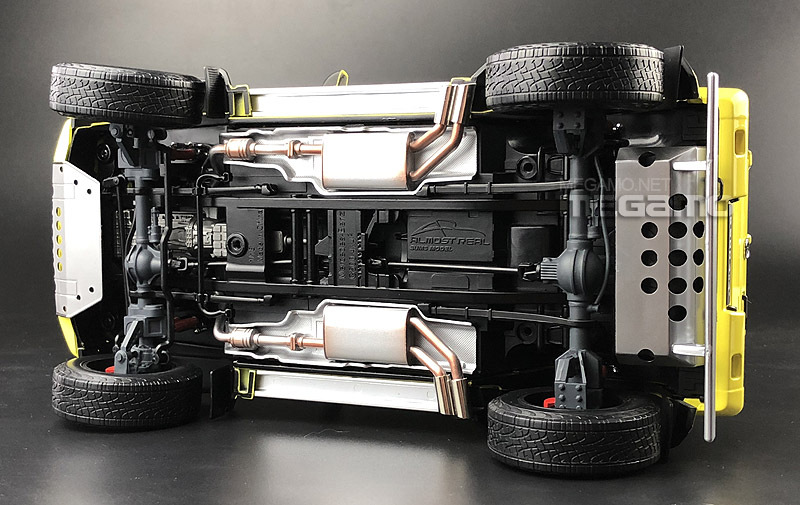 The underbody is almost real… Most diecast makers miss the underbody details but Almost Real had taken this to the next level. 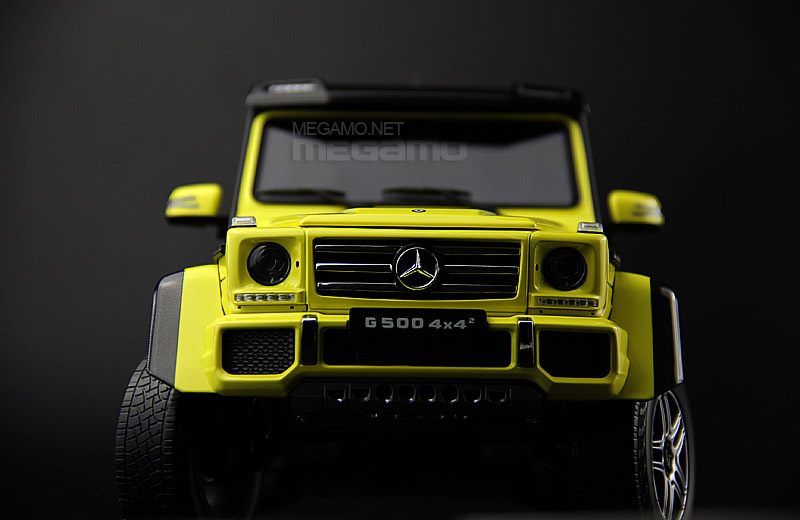 The tail end is a little blank but that is the case with the real Mercedes Benz G500 4×4 Squared as well so it it fine. 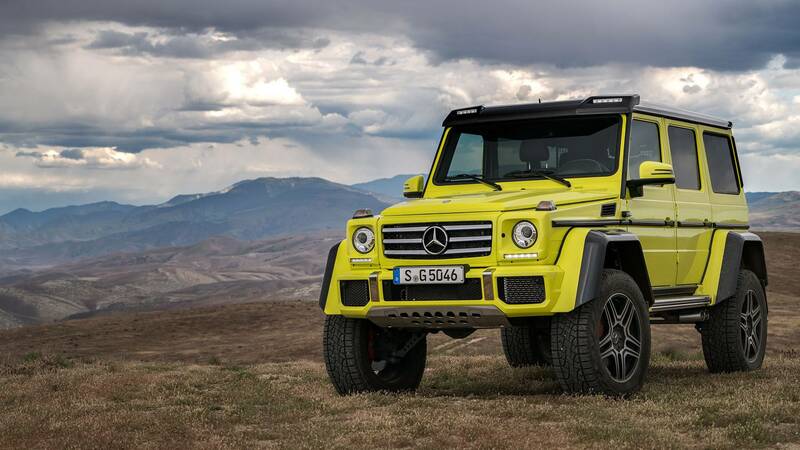 This Mercedes Benz G500 4×4 Squared is already released and is out for grabs. 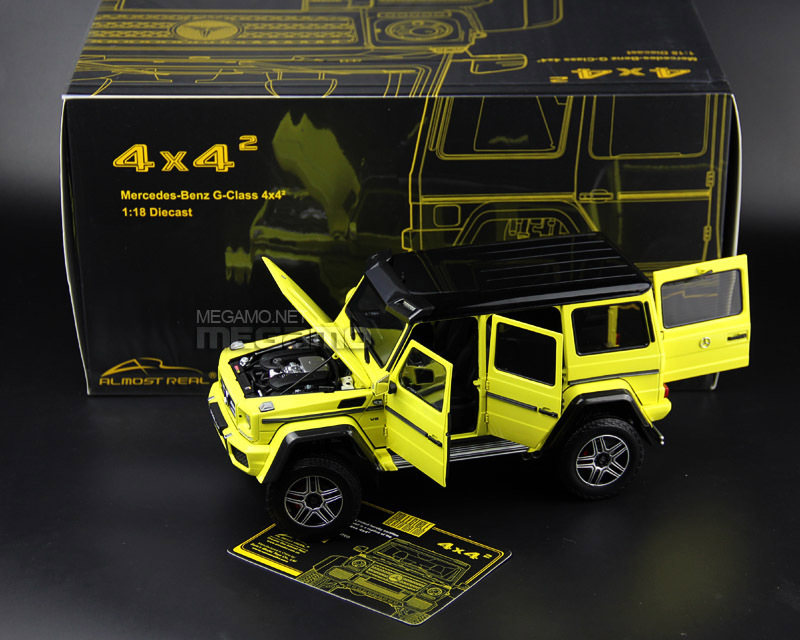 Some online retailer have already got stock of this Mercedes Benz G500 4×4 Squared and it can be your for USD245/- from www.megamo.hk, which is a value for money in my view. 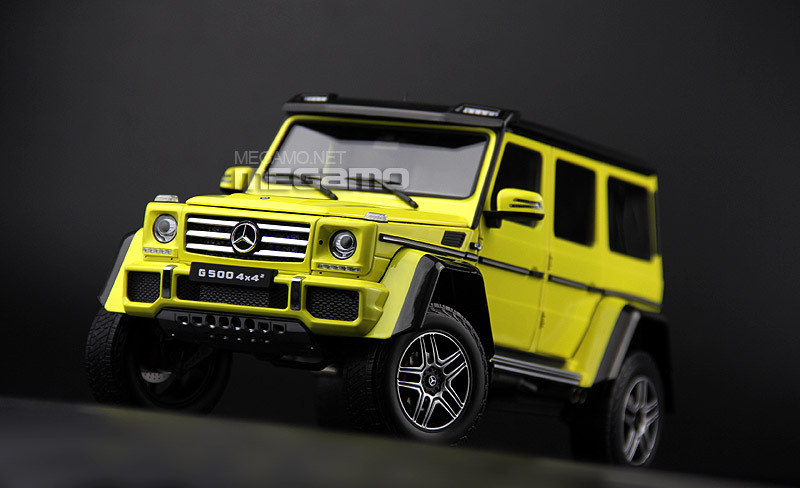 So if you always wondered having this G500 4×4 Squared in your collection and cannot wait for the AUTOart to come then this is a nice alternative. So go ahead and have fun. Till next time… Ciao.